Lively, exciting and inspiring Irish and Scottish songs. These are classics which Bill brings to life all over again. From “all-in” guitar/ bass/ banjo/ bodhran/vocal exuberance to soulful melodies and harmony whistles, each song offers something special. It all started with a party!!! Scottish Hogmany (New Year’s eve) to be precise. 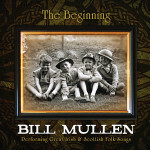 In “The Beginning”, Bill’s 1st solo album, he has gone back to his early exciting, emotional, happy days playing Scottish and Irish folk music in crowded fun-filled parties – that beginning where he was uplifted by the thrill of entertaining and setting the pace on these really enjoyable musical evenings. The Celtic connections in this album are strong – drift away and imagine you are there, a part of the warm friendly crowd, stamping your feet, singing your heart out and joining in the laughter and joy of life itself. 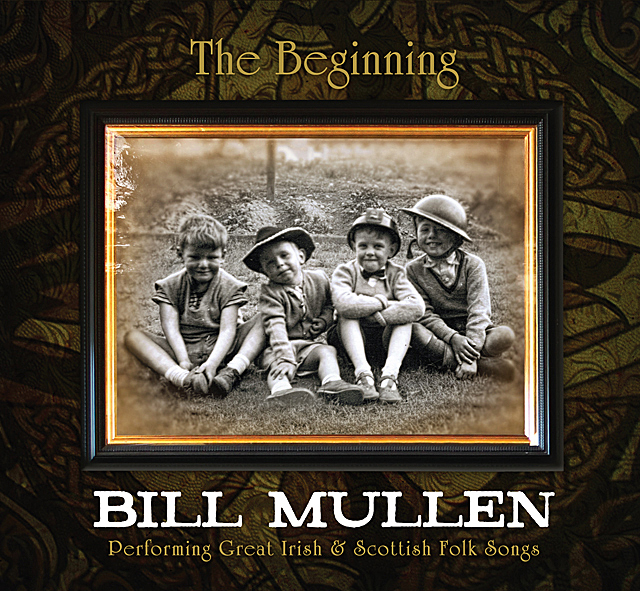 The songs are all traditional Scottish and Irish songs which were being sung during those wonderful early days (apart from the Fields of Athenry – but it’s so lovely, Bill just couldn’t bear to leave it out). The songs all have a story to tell – Kevin Nettleingham recorded, mixed, mastered and sprinkled magic over them, Bill played all instruments and sang all vocals.